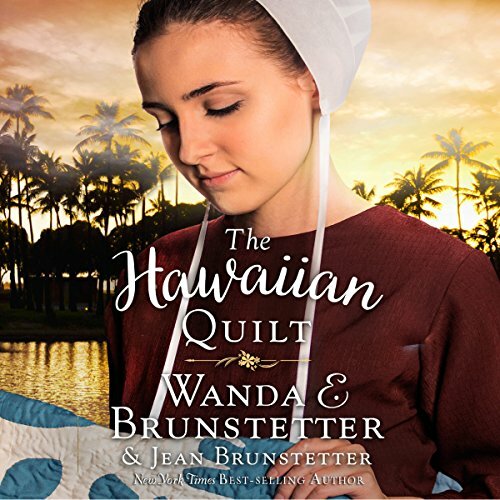 New York Times best-selling author Wanda E. Brunstetter and her daughter-in-law, Jean, take listeners to Hawaii on an Amish woman's adventure of a lifetime. Mandy Frey has always longed to see Hawaii. So before joining the Amish church and considering marriage to her boyfriend, Gideon, she convinces three friends to join her on a cruise of the Hawaiian Islands. Captured by the enchanting scenery and culture in Hawaii, their vacation turns into an extended stay. Special friendships are soon made, but home, family, and Gideon await Mandy back in Indiana. Will time away from the Amish community change Mandy's view of the world, her faith, and true love? Does a Hawaiian quilt have the power to bring two hearts together? I love amish fiction. Such a simple life. Beverly Lewis and Wanda are my favorite amish fiction authors. loved the story. simple progression of growth and love and faith. hoping there is a continuation, next chapter in the life of Mandy. If you could sum up The Hawaiian Quilt in three words, what would they be? I enjoyed this book, took a bit to get interested but the story was pretty great. The story teller's voice did Great.. I realy enjoyed this book because of the story and how it was told. Winds E Brunstetter is an Amazing Author !